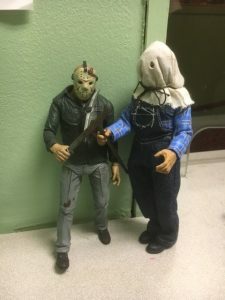 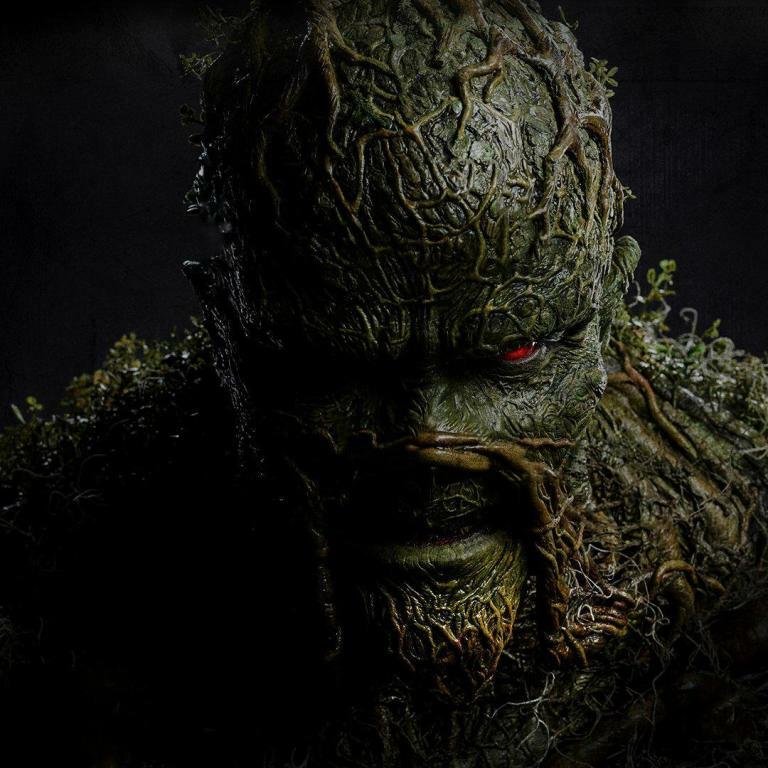 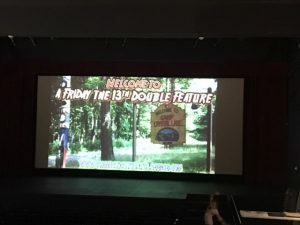 CT Cult Classics Celebrates Friday the 13th With a Killer Double Feature - Horror News Network - The Horror News You Need! 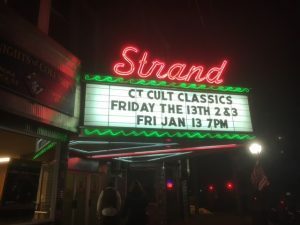 On a seasonably-chilly January night, hundreds of movie fans from across Connecticut gathered in Seymour, CT to celebrate the second-most popular date on the horror calendar: Friday the 13th. 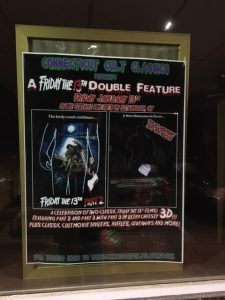 Connecticut Cult Classics (http://www.connecticutcultclassics.com/), the outfit responsible for “Bite Night” and “Stephen King Night”, ran an all-Vorhees double bill featuring Friday the 13th Part 2 as well as Friday the 13th Part 3 (in glorious ’80s-era 3D!). 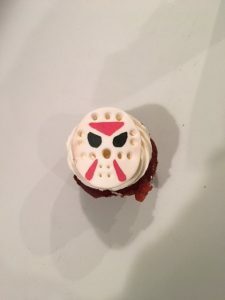 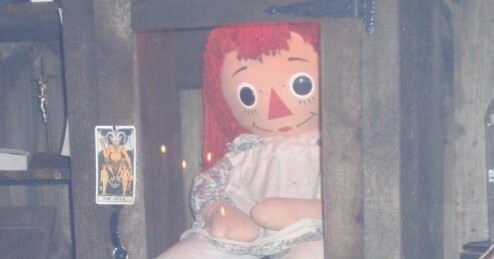 HNN was there to share in the celebration for the latest incarnation of the spooky date. 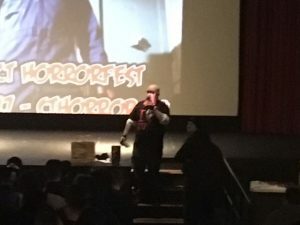 CCC’s Larry Dwyer made sure that all attendees were comfortable, happy, and ready for the carnage that would ensue. 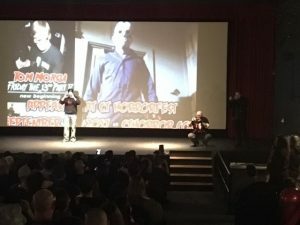 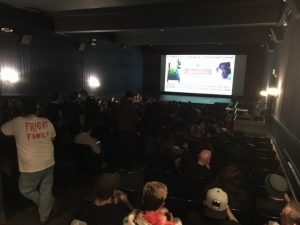 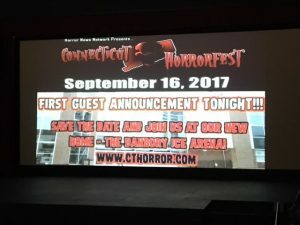 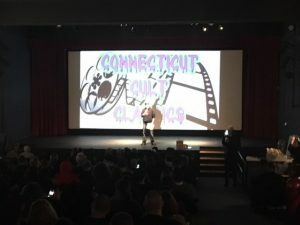 The packed house was treated to not only both films, but also dozens of classic movie-house trailers (Gone With The Pope, Escape From New York, Near Dark, and many more), cool raffles, and the official announcement of the first celebrity guest for CT HorrorFest 2017 (visit https://www.horrornewsnetwork.net/ct-horror/ for additional details). 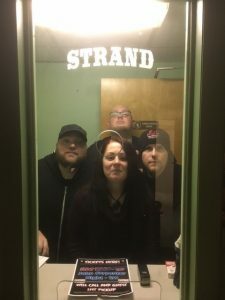 Folks drove from all over to take in the bloody fun, including HNN’s own contributer Jay Kay who made the trek from New Jersey. 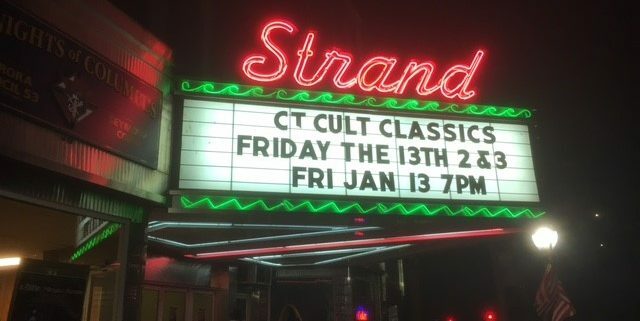 CT Cult Classics fans were able to drive home with a bag full of Jason goodies (the cool 80s-style 3D glasses, an exclusive pin, and more) and some awesome memories. 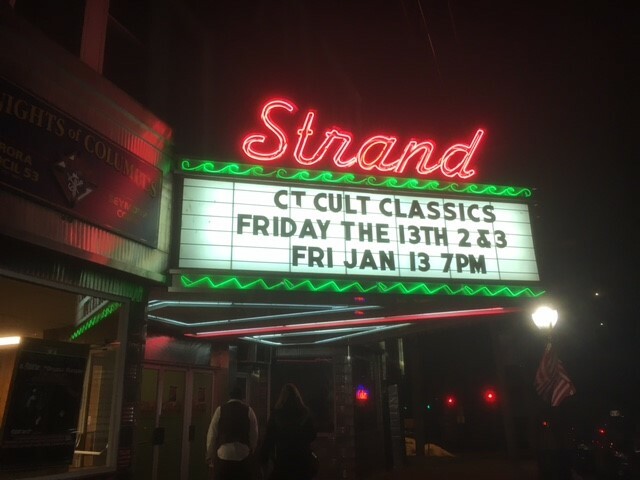 The next CT Cult Classics double-feature will be held at the Strand Theater in Seymour on Saturday, March 18th. 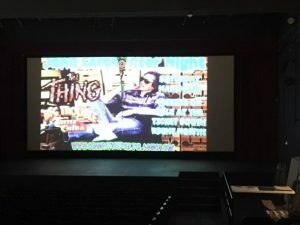 The theme will be John Carpenter Night, as The Thing and Big Trouble in Little China will be shown. 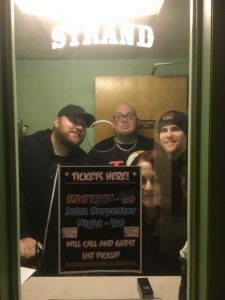 Tickets go on sale this Monday, January 16th.